Carol Forgash, LCSW, BCD is the director of Advanced Educational Productions. 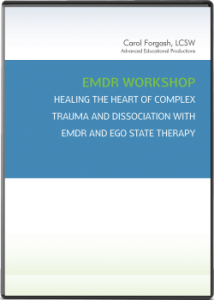 She is a Facilitator for EMDR Institute Trainings. She has a clinical and consulting practice in Smithtown, New York where she provides treatment utilizing EMDR and Ego State Therapy for complex PTSD, general psychotherapy, health issues, and performance issues. 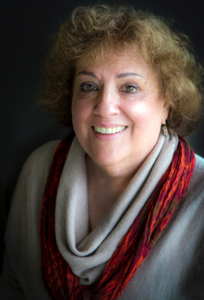 She is an internationally known lecturer and consultant on the integration of EMDR and Ego State work and psychodynamic treatment, the treatment of complex PTSD, and the ACE (Adverse Childhood Experiences) legacies on the health and mental health of survivors. In 2015 she was invited as a Plenary Speaker at the EMDR Europe Conference, and a Co-Presenter, with Jim Knipe at the EMDRIA Pre-Conference Day. Although I’ve explicitly been interacting with clients’ parts for years, the way Carol so creatively collectively works with them, has been a missing piece for me. Her approach helpfully expands my understanding of parts work as well as greatly enriches my repertoire of interventions. I can’t wait to immediately apply what I learned. Refreshingly direct, down to earth and delightfully humorous, Carol teaches from a place inside herself of highly informed, deeply lived clinical experience. If you haven’t already done so, I’d recommend availing yourself of learning from this engaging wise master within our community, sooner rather than later. I just finished your Healing the Heart of Complex Trauma Cours… I got a great deal out of it which I’ll use for the rest of my career. I thought you presented extremely well. You stayed on task. The examples you used were excellent, and you stayed with the point of why you chose them. I’ve had some very good therapy weeks since I started watching it. This workshop is Approved for 13 EMDRIA Credits. This Workshop is approved by EMDRIA for: 13.5 Credits.